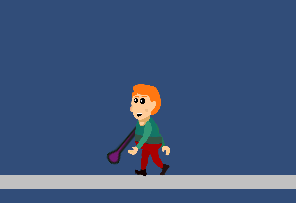 I have a character that on start-up is equipped with another gameobject/prefab as a weapon, attaching it to a hand. 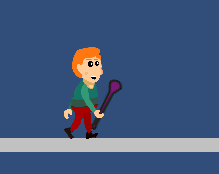 As long as I move the character in the initial direction (right) the attached object behaves as it should, staying in the hand no matter the animation played. But when I flip the character, the attached object doesn't flip correctly. In the initial position (standing still) it looks correct but when I start to move the character, the item flips and rotates the wrong way. It does not follow the arm movement like it should. When I flip the character back to the right again it all work as it should. You need to rotate the object 180 degrees on the X-axis instead of using scale for this. Not the answer you're looking for? Browse other questions tagged 2d unity animation transformation or ask your own question. How can I make EaselJS' skew behave like canvas'? How do I maintain the world pitch, roll or yaw of child objects? How can i make my soldier to patrol over the space stationin random?